Wanna see a fever-pitch corporate brawl? Let the rights to a franchise like the Disney princesses go up for grabs. The cover story for this month’s Bloomberg Businessweek takes a good look at the rising fortunes of Hasbro, culminating in their seizure of the rights to make Disney princess dolls from the Barbie-powered house of Mattel. The piece is entertaining for the inclusion of lines like, “I said, we’re not going to close the FunLab, we’re going to use it to build back our own brands.” We’re not going to close the FunLab! However, it’s also a fascinating glimpse at how almost everybody girl-adjacent found themselves neck-deep in sparkles, ruffles, and pink, as well as what to expect from the franchise in the future. Mattel had a longstanding relationship with Disney dating back to the 1950s, but there was a certain degree of corporate static involved with selling princesses and Barbies. Meanwhile, Hasbro had developed a strategy that revolved around movies, and so boom: Hasbro got the license. Both Hasbro and Disney say they plan to highlight the princesses’ bravery and skills in future advertising, and to give the nonwhite princesses more shelf space. “A 4-year-old girl doesn’t realize how the world she lives in is different from 10 or 15 years ago, but her parents do,” says Frascotti. And parents, he points out, are the ones who buy the toys. And Hasbro’s plans are very, very ambitious. 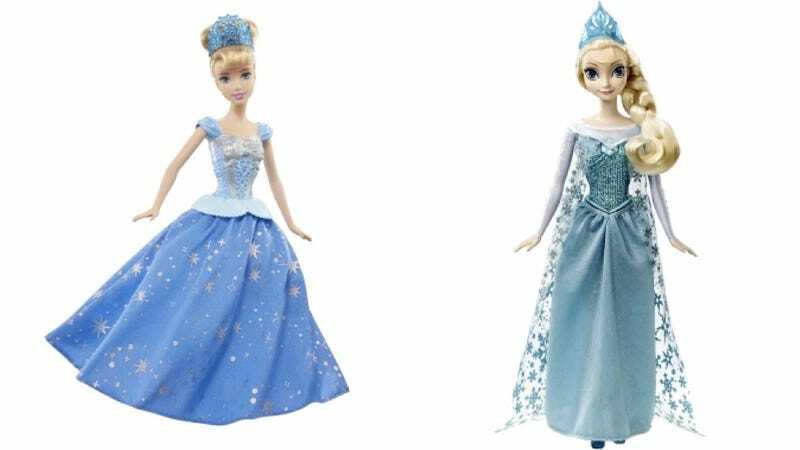 Hasbro and Disney are redesigning and rereleasing every Princess doll, even Pocahontas, which few stores carry. Hasbro hired a few dozen people, mostly designers and developers, who work out of its newly expanded production studio in Burbank, just minutes from Disney. “We’re going to make the Princess brand far bigger and more ubiquitous than it has been in the past,” says Brian Goldner, Hasbro’s chief executive officer.